We didn't eat out much in the Lake District, but on the Sunday night we all wanted to have a dinner in a restaurant so we wandered around Windermere looking for somewhere suitable. Thank goodness we spotted The Lamplighter Dining Rooms. C and I were desperate for fish and chips, and this hit the spot. 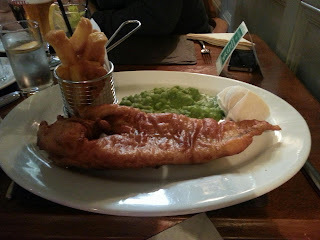 An enormous tranche of fish came out, supported by chips and peas - and after hiking all day, we polished off our portions (though it wasn't easy - you can see from the picture how big it is!) 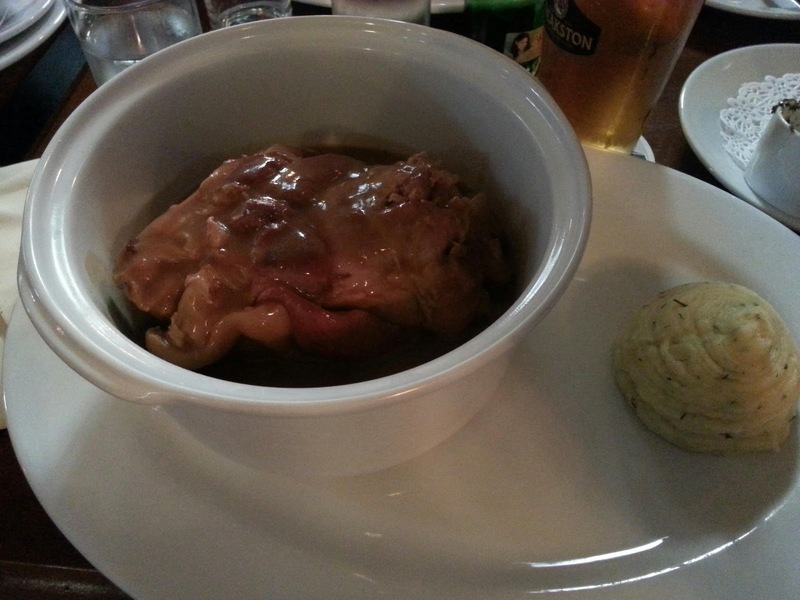 Generous portions were the norm - A and F ordered the ham hock and it came in a tureen almost the size of my head. Point is, if you've got a big appetite and like hearty pub food, I doubt you'll find much better in Windermere.